It has been suggested that this article be merged with 100-ball cricket. (Discuss) Proposed since March 2019. The Hundred is the working title of a proposed professional 100-ball cricket league in England and Wales run by the ECB from 2020. The league will consist of eight city-based franchise teams, each of which will field both a men's and women's team. It is intended to run alongside the county-based t20 Blast for men and supersede the Women's Super League. On 26 April 2017, thirty-eight members of the ECB voted to approve the proposal of a city-based competition. Essex, Middlesex and Kent were those who did not vote in favour. Thirty-eight votes was above the threshold of thirty-one which were required for approval with all counties guaranteed at least £1.3m each per year. Essex had aired concerns over the how the reduced number of sides would focus in the competition on certain areas of the country, Middlesex would not have benefited from the use of Lord's, because, unlike other counties, the club does not own its home ground, and Kent chose not to vote. Originally envisioned as a twenty20 tournament, concerns over the relevance of the current competition structure and the opportunity to attract new fans prompted the England and Wales Cricket Board (ECB) to propose a shortened format. On 19 April 2018, the ECB announced the creation of 100-ball cricket, in which there would be 15 traditional six-ball overs and a final ten-ball over. Other mooted changes include removing the LBW law. The plan drew significant opposition but was supported by England captain Joe Root. There will be eight city-based teams competing for the title over a 38-day period during the school summer holidays, which run from mid-July to early September. Each team will play four matches at home and four matches away (thereby playing their closest rival twice in a format similar to the Big Bash League), which means there will be a total of 32 games in the league that precedes the playoffs. The playoff system will include the top four teams at the conclusion of the league stage and will be similar to the format used in the Indian Premier League, known as the Page playoff system. Under this system, the top two teams play each other with the winner progressing to the final, while the loser plays off against the winner of a match played between the teams that finished third and fourth in the league the second spot in the final. All games will be televised by Sky Sports with the BBC also simulcasting 10 men's and 8 women's games free-to-air. ^ "ECB unveils plans for tournament with 100-ball format and 10-ball special over". Guardian. Retrieved 21 April 2018. ^ a b c "City-based Twenty20 tournament featuring eight teams gets approval for 2020". 26 April 2017. ^ "ECB presents 100-ball domestic game for men and women". 19 April 2018. ^ Marks, Vic (1 May 2018). "Introduction of 100-ball cricket makes one hark back to golden days of 2002 | Vic Marks". the Guardian. ^ "The Hundred 'will bring new people to cricket' - Root". ESPNcricinfo. ^ a b c d "A new T20 competition proposed for 2020". 27 March 2017. ^ Association, Press (8 May 2018). "The 100-ball bash 'not set in stone' and can be stopped". The Telegraph. ^ Ammon, Elizabeth (2 January 2018). "T20 teams will not be tied to cities". The Times. 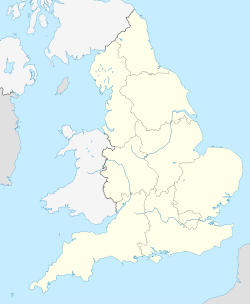 ^ "Ashes 2023: Edgbaston, Headingley, The Oval, Lord's and Old Trafford to host Tests". 14 February 2018. This page was last edited on 10 March 2019, at 15:36 (UTC).